Many recreational vehicles provide nice homes for mice. Maybe your RV is one of them. 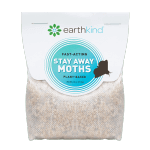 There are several ways to get rid of mice in RVs, including one environmentally friendly way. In most parts of the country, recreational vehicles are not used all year long. 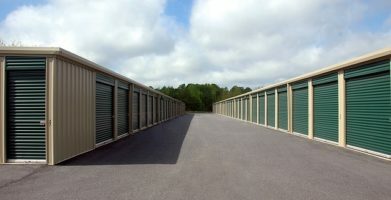 This means that many RV’s are in storage for months at a time. 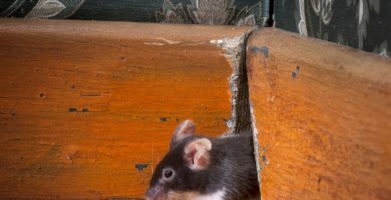 Stored RV’s are comfortable places for mice to hide or nest. Mice can even find their way inside when RV’s are in use during the spring, summer, and fall months. All it takes is an opening 1/4” wide for a mouse to get inside. 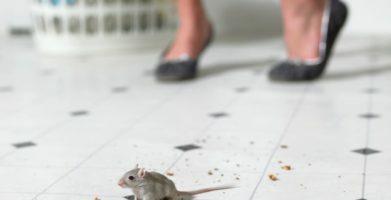 Mice can climb up all the surfaces in an RV, and the furniture and counters give them plenty of space to scurry around. Rodents carry diseases and parasites that are easily transmitted to humans. Deer mice, which are commonly found in RV’s, may carry Hantavirus. Hantavirus causes a pulmonary disease that can be fatal. You can contract Hantavirus Pulmonary Syndrome just by cleaning up mouse droppings you find in your RV. Handling a deer mouse caught in a trap can certainly put you at risk for contracting this disease. RV owners often use spring traps or glue traps to capture mice that have made homes in their recreational vehicle. These can be an effective way of catching mice, but you will need to get rid of the mice after they are caught. This means removing dead mice from spring traps or killing mice caught on a glue strip. 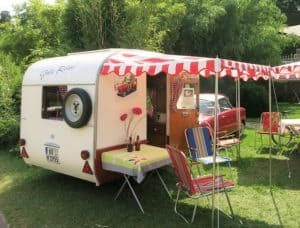 Rat poisons and repellents can also be used to get rid of mice in RV’s. These, of course, present a health risk to humans and animals. Rat poison needs to be applied repeatedly for the first week. Preventing mice from entering your RV in the will protect your health and save you money. Make sure every possible mouse-sized entrance is sealed. Mice can be very clever, so check your RV thoroughly for the tiniest cracks and openings. An easy, safe, and effective way to rid your recreational vehicle of mice is Fresh Cab®. The aroma of Fresh Cab is appealing to humans but offensive to mice. The active ingredient in this botanical rodent repellent is balsam fir needle essential oil. 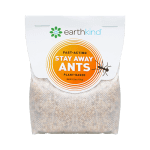 The scent disorients mice and gives them the signal that they need to leave the area. Any mice already in your RV will leave, and other mice will never enter. The Environmental Protection Agency (EPA) approved Fresh Cab as a safe and effective natural rodent repellent in April 2007. It is the only natural rodent repellent with this status. Fresh Cab will rid your RV of pesky mice without harmful effects to you or the environment. You can keep your RV clean and mouse-free without the worries that come with using poisons or traps. Preventing mice from entering your RV in the will protect your health and save you money. Make sure every possible mouse-sized entrance is sealed. Mice can be very clever, so check your RV thoroughly for the tiniest cracks and openings. An easy, safe, and effective way to rid your recreational vehicle of mice is Fresh Cab®. The aroma of Fresh Cab is appealing to humans but offensive to mice. The active ingredient in this botanical rodent repellent is balsam fir needle essential oil. 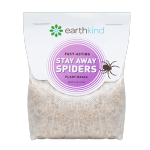 The scent disorients mice and gives them the signal that they need to leave the area. Any mice already in your RV will leave, and other mice will never enter. The Environmental Protection Agency (EPA) approved Fresh Cab as a safe and effective natural rodent repellent in April 2007. It is the only natural rodent repellent with this status. string(31) "How To Remove Mice from Your RV"